Expectations: Long touring days with some full-day motor coach excursions. Standing and walking for long periods of time during city tours, museum visits, and/or outdoor activities. Walking over sometimes difficult terrain (e.g. cobblestones, city hills, stairs without handrails, and an absence of elevators); some longer walks to get to city centers where coaches are prohibited. 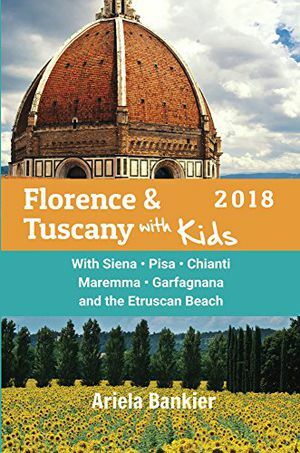 Bring the Italian language to life with this beautifully illustrated children's book from Lonely Planet Kids, an imprint of Lonely Planet, the world's leading travel guide and phrasebook publisher. 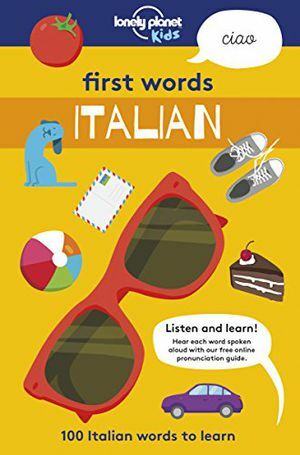 Perfect for the whole family, First Words Italian features 100 words to use while traveling, from food and transport, to animals and weather. Each word is accompanied with a bold illustration and a simple pronunciation guide to make the vocabulary fun and easy to learn. Plus, its small size makes it a handy addition to any trip to Italy. Also included is a free audio pronunciation guide. Scan the QR code on the back cover or visit our First Words website to hear each word spoken by a native child. Also available: First Words French First Words Spanish First Words English First Words Japanese First Words Mandarin About Lonely Planet Kids: Come explore! Let's start an adventure. Lonely Planet Kids excites and educates children about the amazing world around them. Combining astonishing facts, quirky humor and eye-catching imagery, we ignite their curiosity and encourage them to discover more about our planet. Every book draws on our huge team of global experts to help share our continual fascination with what makes the world such a diverse and magnificent place-inspiring children at home and in school. 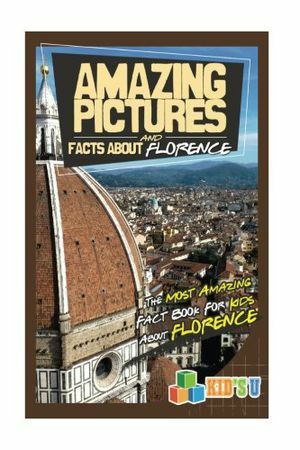 Kid’s U Presents… Florence - Amazing Pictures and Facts About Florence ---- Have you ever wondered where one of the most well known instruments was invented? Or have you asked yourself why the city of Florence is so famous? In this book you will learn amazing things about Florence, finding the answers to these questions, and many more! With pictures alongside them, this book will capture the attention of even the youngest of children, and you will all start to explore the many wonders of the world. Many children learn only because they have to, but don’t realize how amazing the world is, and how fun it is to learn about! The goal of this book is to change that. This book will help your children to see how vast and wonderful the world is, and inspire them with the excitement of learning. Readers will Become more aware of the various cultures around the world. Discover a multitude of amazing facts to wonder and learn more about. Find that reading can be educational, but fun! And much more! Table of Contents Introduction Chapter 1- Where is Florence? Chapter 2- How old is the city of Florence? Chapter 3- What is the population of Florence? Chapter 4- What is the weather like in Florence? Chapter 5- What is the landscape like around the city? Chapter 6- What is the currency used in Florence? Chapter 7- What is the language spoken in Florence? Chapter 8- What is the city’s symbol? Chapter 9- Is there much art in Florence? Chapter 10- Have any famous artists come from Florence? Chapter 11- Have any stories originated in Florence? Chapter 12- Has anything been invented in the city? Chapter 13- What is the most famous building in the city? Chapter 14- Has the city been the first to do anything? Chapter 15- Does the city have any of its own sports? Chapter 16- Have any famous people been born in Florence? 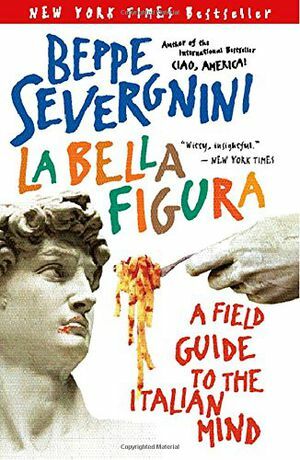 Chapter 17- Is there any traditional food in Florence? Chapter 18- Did anything happen to Florence during World War II? Chapter 19- Has the city ever been the capital of Italy? Chapter 20- How many people visit this city? 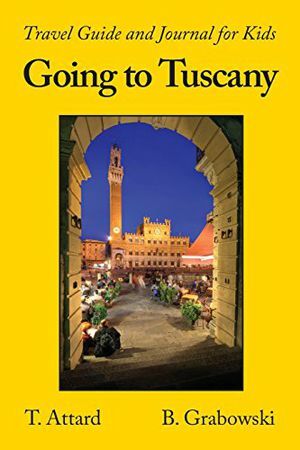 This travel guide and journal will engage everyone with brief histories, facts and interesting tidbits of information on key historical sights of Tuscany, Italy. A variety of activities will keep travellers interested, involved and engaged. 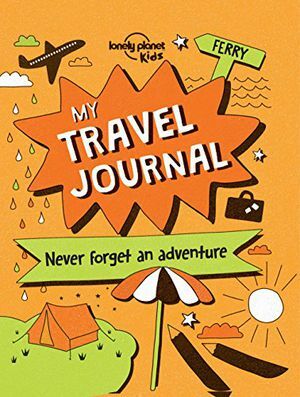 This journal will become a treasured memory and keepsake of your family's vacation to Tuscany. The touching, magical story of a boy in a war-torn country and the stone lion that rescues him. Renato loves his home in Florence, Italy. He loves playing with his friends in the Piazza della Signoria. He loves walking home by the beautiful buildings and fountains with his father in the evenings. And he especially loves the stone lion who seems to smile at him from a pedestal in the piazza. The lion makes him feel safe.But one day his father tells him that their family must leave. Their country is at war, and they will be safer in America. Renato can only think of his lion. 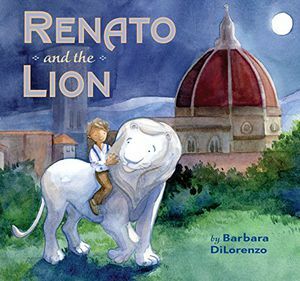 Who will keep him safe?With luminous watercolor paintings, Barbara DiLorenzo captures the beauty of Florence in this heartwarming and ultimately magical picture book. What happens if you decide to make a dream come true? 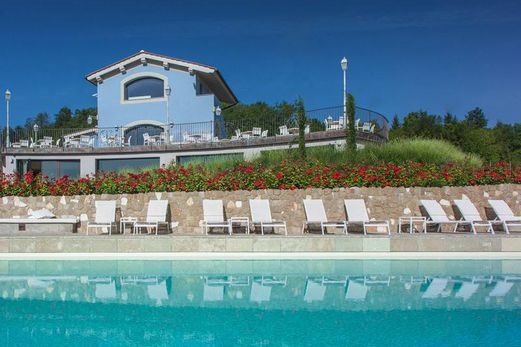 Newly retired and looking for more than a vacation, John and Nancy Petralia intrepidly pack a few suitcases and head to the "perfect" Italian city. Within days their dream becomes a nightmare. 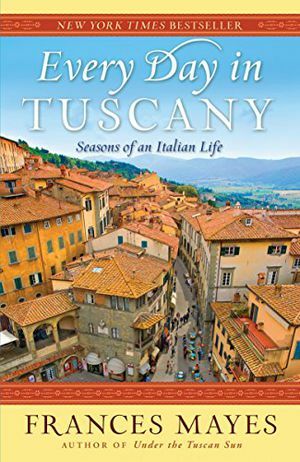 After residing in two Italian cities, negotiating the roads and healthcare, discovering art, friends, food, and customs, the Petralias learn more than they anticipate--about Italy, themselves, what it means to be American, and what's important in life. Part memoir, part commentary, quirky and sincere, Not in a Tuscan Villa is about having the courage to step out of your comfort zone and do something challenging in later life. The adventure recaptures the Petralias' youth, rekindles their romance--and changes their lives forever. 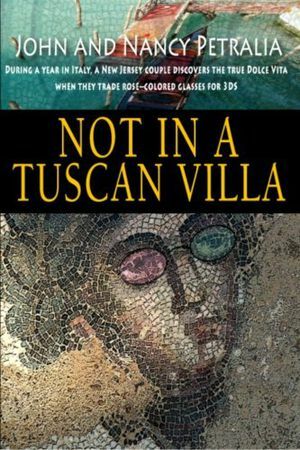 #1 NEW YORK TIMES BESTSELLER AND A TIMELESS CLASSIC FROM THE AUTHOR OF UNDER MAGNOLIA Frances Mayes—widely published poet, gourmet cook, and travel writer—opnes the door to a wondrous new world when she buys and restores an abandoned villa in the spectacular Tuscan countryside. In evocative language, she brings the reader along as she discovers the beauty and simplicity of life in Italy. Mayes also creates dozens of delicious seasonal recipes from her traditional kitchen and simple garden, all of which she includes in the book. Doing for Tuscany what M.F.K. Fisher and Peter Mayle did for Provence, Mayes writes about the tastes and pleasures of a foreign country with gusto and passion. 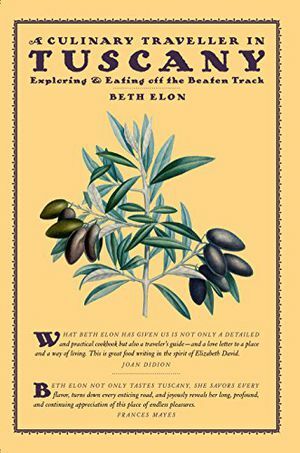 Each of the ten itineraries in this cookbook/guidebook takes readers through parts of Tuscany that still remain largely undiscovered and into the kitchens of more than fifty superb but little-known restaurants specializing in regional cuisine–those that are for the most part overlooked by tourists and known only to the locals. Each regional section begins with illuminating and absorbing explanations of what makes Tuscan cooking so unique: location, location, location. You’ll read about a bean so beloved by a village that it’s been elevated to cult status–but unknown a few kilometers down the road; an aboriginal baby lamb that is almost unknown outside of the Zeri valley; the endless array of vegetable tarts found nowhere in Tuscany but Lunigiana and Garfagnana. With this guide in hand, you’ll not only know where to dine but what to order when you get there. In addition to 100 recipes, also included are nearby points of interest, descriptions and contact information for restaurants, trattorie, gourmet shops, wineries, olive oil producers, local markets, and regional food festivals, and how to find the monasteries, workshops, and artisans’ studios that offer local items ranging from herbal beauty products to traditional ceramics and handwoven linens. 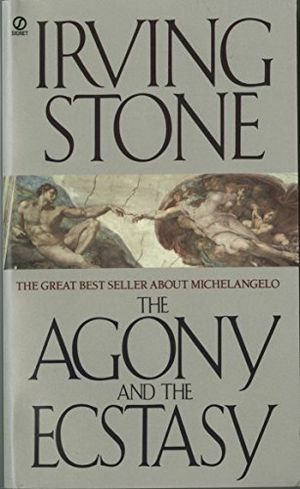 Irving Stone’s classic biographical novel of Michelangelo—the #1 New York Times bestseller in which both the artist and the man are brought to vivid, captivating life. His time—the turbulent Renaissance, the years of poisoning princes, warring Popes, and the all-powerful de'Medici family... His loves—the frail and lovely daughter of Lorenzo de'Medici, the ardent mistress of Marco Aldovrandi, and his last love, his greatest love—the beautiful, unhappy Vittoria Colonna... His genius—a God-driven fury from which he wrested brilliant work that made a grasp for heaven unmatched in half a millennium... His name—Michelangelo Buonarroti. Creator of the David, painter of the ceiling in the Sistine Chapel, architect of the dome of St. Peter's, Michelangelo lives once more in the tempestuous, powerful pages of Irving Stone's towering triumph. A masterpiece in its own right, this biographical novel offers a compelling portrait of one of the greatest artists the world has ever known. Written in the middle of the 14th century as the Bubonic Plague decimated the population of Europe, “The Decameron” is a satirical and allegorical collection of stories by Italian author Giovanni Boccaccio. 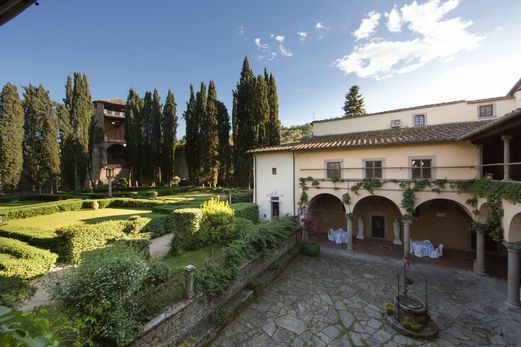 Constructed as a series of “frame stories,” or stories within a story, the narrative follows seven young women and three young men who take refuge in a secluded villa outside Florence in order to escape the Black Death. During ten evenings of their stay, each of travelers takes turns as storyteller to pass the time. Their stories relate tales of love, both happy and tragic, examples of the power of fortune and human will, and exhibitions of virtue, cleverness, and trickery. 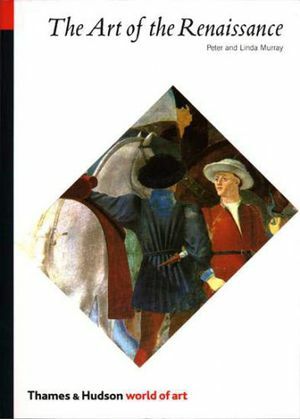 Boccaccio’s work is not only important for its superb literary quality but for its examination of the changing cultural values that defined the transition from medieval times into the renaissance. The virtues of intelligence and sophistication of the increasingly urbanized and mercantilist Europe are shown as superior to the relative simplicity and piousness of the feudal system. 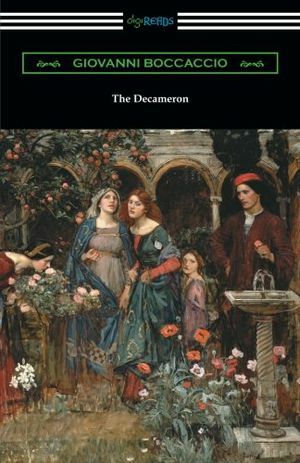 More than the sum of its parts, “The Decameron” is a milestone in the history of European literature, an influential and enduring masterpiece. This edition is printed on premium acid-free paper and is translated with an introduction by J. M. Rigg. 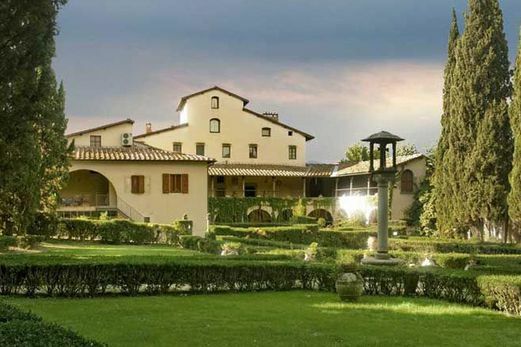 At its height Renaissance Florence was a centre of enormous wealth, power and influence. A republican city-state funded by trade and banking, its often bloody political scene was dominated by rich mercantile families, the most famous of which were the Medici. This enthralling book charts the family's huge influence on the political, economic and cultural history of Florence. 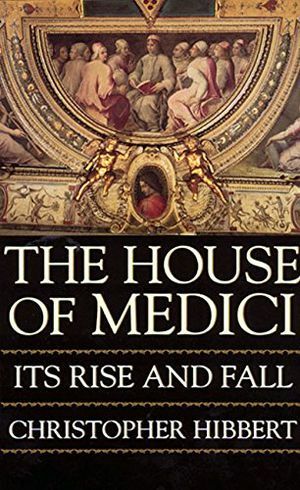 Beginning in the early 1430s with the rise of the dynasty under the near-legendary Cosimo de Medici, it moves through their golden era as patrons of some of the most remarkable artists and architects of the Renaissance, to the era of the Medici Popes and Grand Dukes, Florence's slide into decay and bankruptcy, and the end, in 1737, of the Medici line. “Like Outlander with an Italian accent.” —Real Simple “A detailed historical novel, a multifaceted mystery, and a moving tale of improbable love.” —Publishers Weekly, starred review A NEW YORK POST MUST-READ BOOK Readers of Diana Gabaldon’s Outlander and Tracy Chevalier’s Girl with a Pearl Earring…will be swept away by the spell of medieval Siena” (Library Journal, starred review) in this transporting love story and gripping historical mystery.Accomplished neurosurgeon Beatrice Trovato knows that her deep empathy for her patients is starting to impede her work. So when her beloved brother passes away, she welcomes the unexpected trip to the Tuscan city of Siena to resolve his estate, even as she wrestles with grief. But as she delves deeper into her brother’s affairs, she discovers intrigue she never imagined—a 700-year-old conspiracy to decimate the city. As Beatrice explores the evidence further, she uncovers the journal and paintings of the fourteenth-century artist Gabriele Accorsi. But when she finds a startling image of her own face, she is suddenly transported to the year 1347. She awakens in a Siena unfamiliar to her, one that will soon be hit by the Plague. 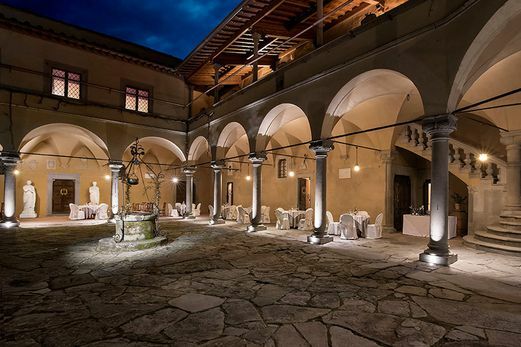 Yet when Beatrice meets Accorsi, something unexpected happens: she falls in love—not only with Gabriele, but also with the beauty and cadence of medieval life. As the Plague and the ruthless hands behind its trajectory threaten not only her survival but also Siena’s very existence, Beatrice must decide in which century she belongs. 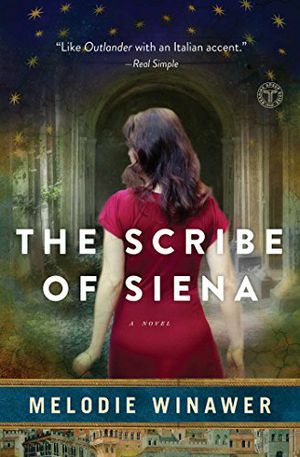 The Scribe of Siena is the captivating story of a brilliant woman’s passionate affair with a time and a place that captures her in an impossibly romantic and dangerous trap—testing the strength of fate and the bonds of love. Who's the smarty pants in your family? 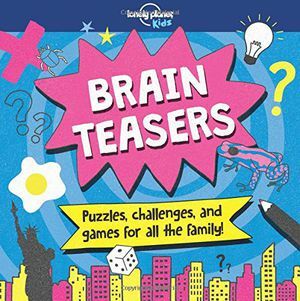 Packed with number and logic puzzles, riddles, dingbats, codes and much more, this fun and challenging travel-themed activity book is perfect for car journeys, vacations and rainy days-and provides a great test for both kids and adults. Brain teasers include: Scrambled Cities - anagrams of famous places Code breaker - morse code messages to decipher Flagtastic - match the country to its flag World traveler, desert and jungle word searches Say what you see - solve the visual word puzzles Flag finder - crack a series of semaphore messages Riddles of the Sphinx - crafty cryptic questions Arctic explorer crossword and airport sudoku Other Lonely Planet Kids family activity books also available: -Boredom Buster -Round the World Quiz Book -My Vacation Scrapbook -My Vacation Drawing Journal -My Travel Journal -Backyard Explorer -My Family Travel Map -My Family Travel Map: North America -My Family Travel Map: Europe -My Family Travel Map: Australia -My Family Height Chart About Lonely Planet Kids: Come explore! Let's start an adventure. Lonely Planet Kids excites and educates children about the amazing world around them. Combining astonishing facts, quirky humor and eye-catching imagery, we ignite their curiosity and encourage them to discover more about our planet. 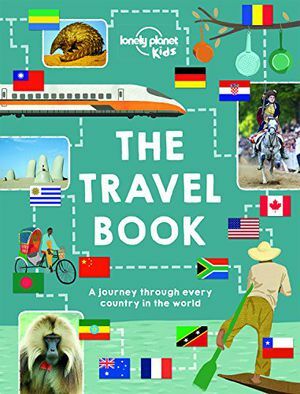 Every book draws on our huge team of global experts to help share our continual fascination with what makes the world such a diverse and magnificent place - inspiring children at home and in school. Services of an experienced Travel Director throughout the program. Meals and beverages as noted in the itinerary (B-breakfast; L-lunch; R-reception; D-dinner). A rich program of excursions, activities, sightseeing, and visits led by an art historian and other local specialists and/or top guides as noted in the itinerary. Gratuities for all on tour staff, local guides and drivers. 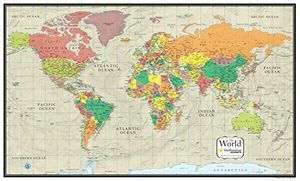 International and in-country airfare and departure taxes. Transfers to and from airports for individuals not using or meeting the group transfer. To submit a reservation request, please use our secure online system at SmithsonianJourneys.org or contact a Cultural Travel Specialist, at 1-855-330-1542 Mon-Fri 9 am - 7 pm; Sat 9 am – 4 pm (Eastern Time). Submitting an online request does not guarantee space on a tour. You will be notified by a Reservation Specialist of your status once your request has been received and processed. A deposit of $500 per person for a land tour reservation, unless otherwise noted, is required to reserve a space on a tour. All payments may be made by credit card or check to the tour operator. Deposits are applied to final payment of the tour price. Final payment is due 120 days prior to departure, unless otherwise noted. Balance is due upon invoicing. If full payment is not received by the final payment due date, your place cannot be guaranteed on the tour. Any registration received within 120 days of departure is considered “on-request” and is subject to specific confirmation. Some tours are more restrictive. Payment in full must be made immediately by credit card, or by check sent by overnight mail to the tour operator, before confirmation is possible. Once confirmed, cancellation penalties apply as set forth below. If confirmation is not possible, all payments made will be refunded in full. Late registration confirmation procedures apply to any traveler who is transferred from the wait list to the tour within the designated late registration period for that tour. For additional information, please contact a Cultural Travel Specialist, at 1-855-330-1542 Mon-Fri 9 am - 7 pm; Sat 9 am – 4 pm (Eastern Time), at SJReservations@si.edu or SmithsonianJourneys.org. All prices are based on two persons sharing a room/cabin. All prices are quoted in U.S. dollars. Tour costs are based upon current airfares, tariffs, currency values, and on the basis of a presumptive minimum number of travelers. While we will do everything possible to maintain the listed prices, they are subject to change. Due to fluctuations in oil prices, a fuel surcharge may be added to your tour fee (e.g. internal flights, cruises, etc.). Details and costs will be advised prior to departure. Following enrollment, a traveler’s withdrawal from the tour for any reason, including, but not limited to, illness, injury, family engagements, work-related issues, or geopolitical concerns, etc., will be deemed a cancellation. Please understand that there will be no exceptions to our cancellation policy. 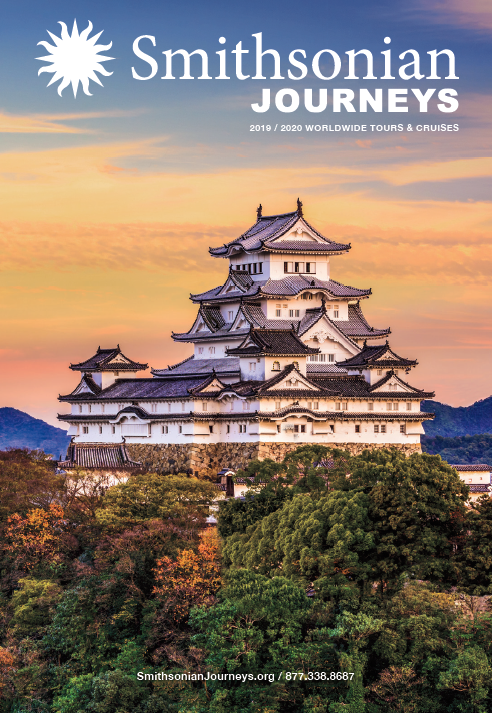 Smithsonian Journeys recommends that all travelers purchase travel insurance. Travelers are responsible for obtaining any documents required for their participation in the tour such as a valid passport, all visas, vaccination certificates, and any other documents. If your tour requires a visa or other entry documents, we will send you the appropriate information after you make a reservation. Failure to obtain documents does not negate the terms and conditions, and any extra costs incurred for rerouting or delay due to travel without the necessary documents will be the participant’s responsibility. If you are not a U.S. citizen, please contact your embassy or consulate to ensure you obtain the proper documentation. To enjoy the travel experience, travelers should be in good physical and mental health. All tours require an element of walking (up to two miles per day over uneven terrain) and of climbing stairs, often without handrails. Travelers should have sufficient stamina to keep pace with an active group of travelers on long days of touring. If you have any questions about your ability to participate in a tour, please call us at 855-330-1542. Any physical condition, diet, or special request for accommodation must be identified in writing on the Personal Information Form when the reservation is made. Some tours have additional information regarding physical and medical considerations, which may be discussed with the Reservation Specialist at 855-330-1542. Please be aware that health care standards, facilities, and services abroad may be different or even inadequate for treating certain health conditions. It is essential that you inform us in writing (on the provided Personal Information Form) of any existing condition for which you may require medical attention or accommodation during the tour. We will make reasonable efforts to accommodate the needs of our travelers; however, services of a personal nature cannot be expected or guaranteed. By forwarding the deposit for pre-registration or registration in full, you affirm that you do not have any physical or other limitations that would create a hazard for yourself or other travelers or would require adjustments to the tour for other travelers. Hotel rooms are always reserved for single travelers, however, the number of single rooms available on a tour may be limited. Therefore we recommend that you register early. Please note that a single supplement will most likely apply for a single room. If you are traveling alone and wish to share a room/cabin, we will do our best to find someone of the same gender and smoking preference to share with you. If you are matched with a non-smoking roommate, it is mutually agreed that you cannot smoke in your hotel room/cabin. When a roommate cannot be found, a single supplement will be charged. Please note that the single rooms in many foreign hotels may be smaller than those to which you are accustomed. Family journeys are designed for children 8 and older accompanied by at least one adult. The child price is for children between 8 and 11 years old, sharing a room with two adults. A parent or guardian must accompany and share a room with those under 18 years of age. Travelers may wish to extend their stay in the group hotel either before or after the tour. Our tour operators will work with you on these arrangements, dependent upon space availability. Your pre-tour bulletins will further explain all options. If a complaint arises, the traveler should first inform a member of the on-tour staff, so that the staff can attempt to rectify the matter. If the issue remains unresolved, the individual should submit the complaint in writing to Smithsonian Journeys within 30 days of the completion of the tour. Travelers on tour may be photographed or recorded (audio and video) for the educational and promotional purposes of the Smithsonian Institution and Smithsonian authorized third parties. This content may be used in marketing publications and posted on websites to promote Smithsonian Journeys without compensation to the traveler. Travelers who prefer that their name, voice and/or image not be used must notify us in writing prior to the beginning of the tour. For the comfort of all travelers, we ask that there be no smoking during all group activities, including excursions and meals. On certain cruises, there is no smoking aboard the ship. Your pre-tour bulletins will provide further information. Smithsonian Journeys tours are organized and administered by professional tour operators hired as independent contractors. The use of designated tour operators allows the Smithsonian to offer travelers a wide array of educational travel opportunities. The tour operator acts only as an agent for the respective suppliers by making arrangements for transportation, accommodations, and other services. Neither the Smithsonian Institution nor the tour operator shall be held liable for personal injury, death, property damage or accident, delay or irregularity arising out of any act or omission of these suppliers. The Smithsonian Institution and the tour operator reserve the right, without penalty, to make changes in the published itinerary whenever, in their judgment, conditions warrant, or if they deem it necessary for the comfort, convenience, or safety of tour travelers. The Smithsonian Institution and its designated tour operator also reserve the right, without penalty, to withdraw the tour announced, to decline to accept any person as a traveler in a tour, or to require any traveler to withdraw from the tour at any time (including, but not limited for inappropriate, or offensive behavior) when such action is determined by tour staff to be in the best interests of the health, safety or general welfare of the tour group or the individual traveler.